Related to the Hadashi model, jitsuyo means practical. 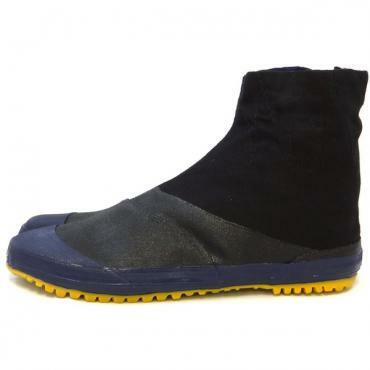 These boots are made for working in wet conditions, with a rubber toe cap and extensive waterproof coating on the uppers. Related to the Hadashi model, jitsuyo means practical. 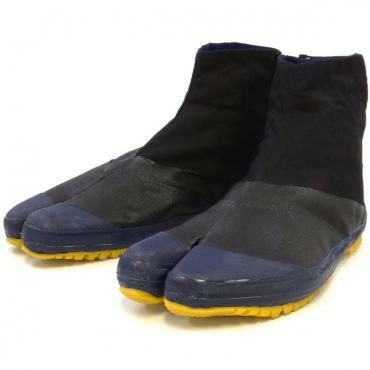 These boots are made for working in the water, with a rubber toe cap and extensive waterproof coating on the uppers. It has 5 metal tabs (kohaze) and four adjustable widths to ensure a snug fit. 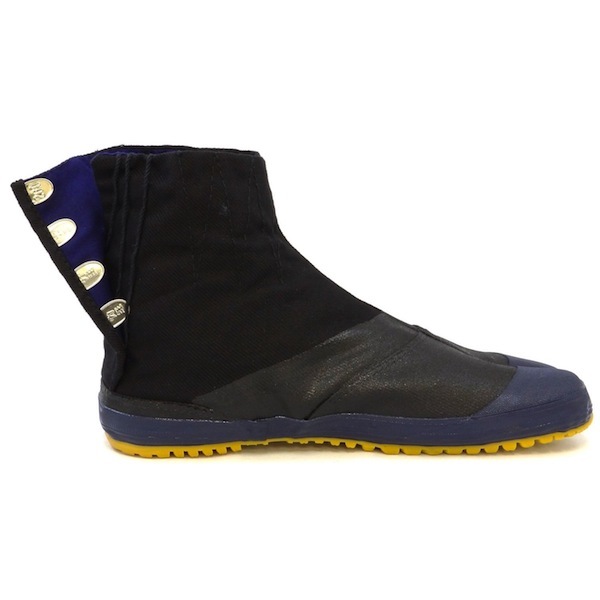 100% cotton with a flexible-rubber, non-slip sole and a rubber strip between the sole and upper for added waterproofing. Aquamarine cotton lining and the insole is a thick cotton padding. All the stitching is reinforced so the seams are strong and durable. Terrific footwear for rainy winters. ofing which otherwise does not last very long. To me the best feature is that these shoes are extremely comfortable! I particularly appreciate the roomy toe box. If you are used to minimalist/flexible shoes you'll be right at home. 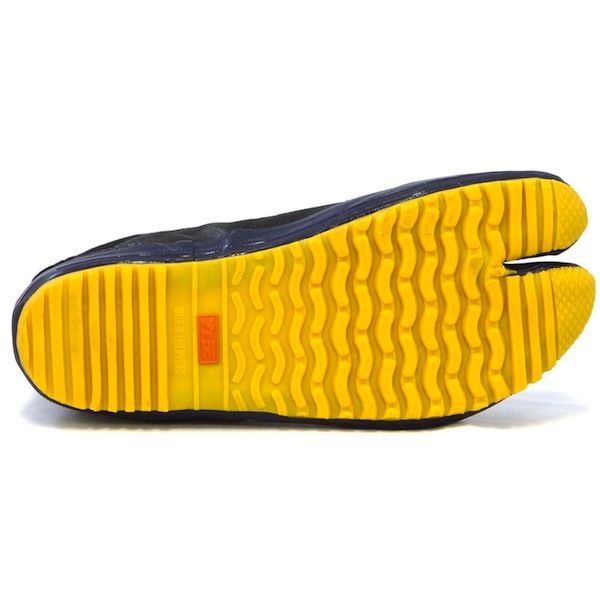 If you currently wear shoes with a pronounced arch support you might want to order some insoles. NB to follow the Japan store fitting recommendations carefully because if you wash these/get them wet they shrink slightly, also your arches/toes will spread out if you are currently wearing more restrictive shoes. Initially I thought the pair I ordered were too big, but after shrinking and some adjustment time they were just right. The tread rubber is very sticky which is ideal for wet conditions, the downside is that it wears quickly.